Wal Goch Fishing is a trout fishery that offers a great day out to fly fishers whether you are an experienced angler or just starting out. The crystal clear spring fed lakes are located in a quiet, picturesque little valley, providing our visitors with a truly wonderful setting. The lakes are stocked regularly with hard fighting, full-finned Rainbow Trout; these range in size from 1.5lb right up to double figures and offer anglers the prospect of excellent sport. So why not come and visit us soon, you will be sure to receive a very warm welcome. 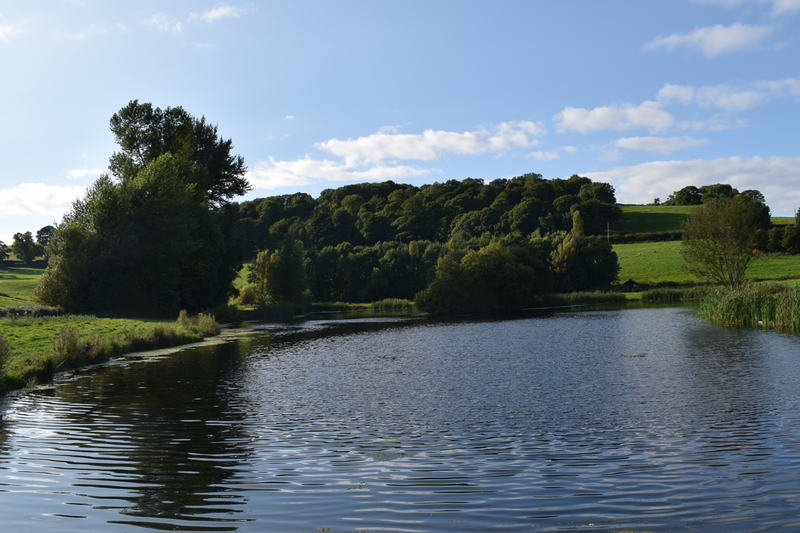 The fishing lake's crystal clear waters cover over two acres in glorious North Wales countryside. The lake has been established since 1920, when the original dam burst. The dam is still visible today. Wal Goch house dates back to 1560, and has been a working farm for 300 years, currently standing in 500 acres. Car-parking available within 50 metres of the water. 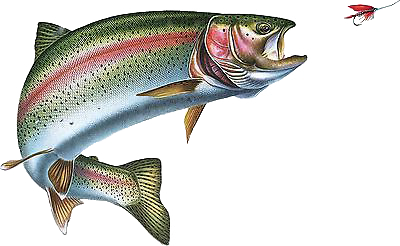 The lake is currently stocked with Brown and Rainbow trout. High oxygen levels make the fish very hard fighters. The lake is typically 6 feet deep, shallower in the northwest corner, slightly deeper in the southeast towards the dam. All Anglers aged 12 and over must hold an Environment Agency Rod licence obtainable from the Post Office or (buy it on line here). All persons at the fishery are there entirely at their own risk and the management takes no responsibility for any accident, injury, loss or damage to their property or person.